I started crying the moment I placed a picture onto this empty post. No words were written, just an image of Chissa and her energetic expression. 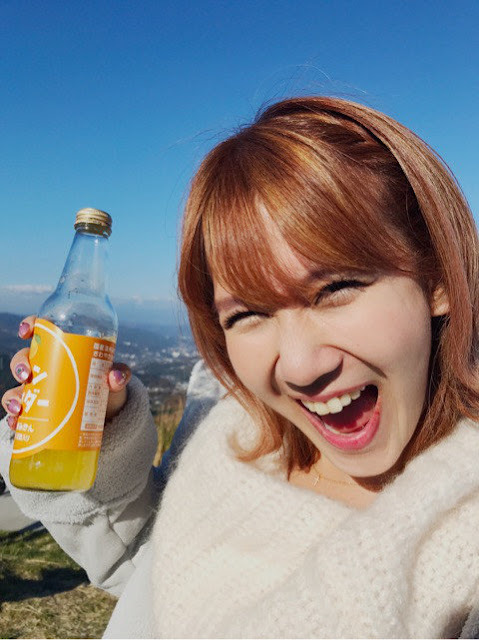 Out of all the posts thus far, this one will be the hardest to write, because it goes without saying that, of all the members within ℃-ute, Okai Chisato is my favourite. From the very beginning, she was the one I wanted to follow, and for such a long time, she was the sole member I adored. She made the group shine, in my eyes. Chissa is my ℃-utie rock, and no matter what ups and downs I have had with Hello! Pro or ℃-ute, she has, and always will be, my favourite member. Nothing can change that, and in my mind, no one will ever replace her. She is one of a kind, and will forever hold a place in my heart as one of my original 'Oshimem's'. It's so difficult to believe that soon she will be gone. Ever since my early days as an Idol fan, Okai Chisato was the member who left an impression on me. Though she stood in the back originally, her energy and smile entertained me. Also, at the time of discovery of Idols, she was the girl who stood out the most because of her small height and darker skin tone. I liked that, out of everyone, she looked and felt a little more unique. Of course, her forehead intimidated me in early MV's, but she eventually got bangs, but even with her forehead showing off in all its glory, I found Chissa cute and entertaining. She had a spark, and even though she was a background member, I wanted to follow her more. It was this interest that had me looking for solo songs by Chissa. The one that I found, and the one that left a great impression on me, was Chissa's rendition of Darling I LOVE YOU, and to this day, whenever I hear that song, I can't help but think of Chissa singing it, smiling so brightly and singing with all her might. It was a wonderful performance, and it only endeared me to this wonderful Idol even more. For quite a while, Chissa was one of my Top Hello! Pro Idols, right next to Niigaki Risa. I really didn't know a lot about H!P, then, but I had my favourites. It's hard to believe that, of all my Oshi's, Chisato is the one who has been a part of my Idol fandom the longest. Since 2009, Okai Chisato has captivated me as her fan, continuously flooring me with her singing, energy and happiness in music, video and on stage. No matter what, this girl can do no wrong. Well, unless it comes to her hair, of course. Chisato is a character. Much like Airi, this girl is goofy and sweet, funny as heck, and is always willing to try and make other people smile. It's no wonder she's going to continue doing variety; she's already made a name for herself, and I feel like she will one day become really popular. Though I do want Chissa to continue singing and standing on that stage, I understand that her other strengths lie in variety and making people laugh with her antics. Honestly, as a fan of Chissa's, I am so proud that she has found her way, and realised what she can do to bring happiness to others, both on and off the stage. Of course, I want to continue watching over her as an Idol. After all, she has always been there for me. Though she hasn't been a presence from the get-go, like Airi, Chissa was one of my first true Oshi's, and for eight years, she has never once lost her footing in that ladder of beloved of Idols I hold aloft. Heck, I adored her so much at one point, that I even wanted to name this blog after her! Why do you think it's Okay! Musume Time? I was so besotted with this girl, I was going to name the blog Okai! Musume Time, but decided playing on her surname would be better. She has inspired me so much, and from day 1 of this blogs inception, this girl has been my muse. Okai Chisato was the muse. Forever an Oshi, forever my inspiration. I think that one of the proudest moments since becoming an Idol fan of Okai's, though, has to be watching her go from underdog to leading lady in such a quick amount of time. When I first started to follow Hello! Pro and ℃-ute, Chissa was a background member with barely any lines. Before Campus Life ~Umarete Kite Yokatta~ was released, I had seen previous PV's, and realised that Okai wasn't really in the front, or given much in terms of lines. Of course, I still liked her. She was unique to everyone else, and her voice felt strong but raw. I cheered her on, because I have always liked underdogs. And then, she was given the spotlight. Chissa was the first of my oshi's to do this, and I was amazed, but extremely delighted, as well. I wanted to cry with happiness! I was hearing my beloved Chissa sing, and she looked so happy and vibrant whilst doing it. I thought it was a one time thing, back then, but the more it happened, the more I wanted to support Chisato and cheer her on. I was so pleased for her, and finally, the Idol in the back was getting the recognition she deserved. After so long, Chissa found herself at the front, and became a leading lady. In everything she does, and everything she has done, Okai Chisato shines brightly. Even when she wasn't given many lines, or even when she stood in the back, she always looked so pleased and entertained. No matter where she stood, Chissa was just so happy to be there. You could see that this girl just loved being an Idol, and that's what makes her so wonderful. She doesn't take her position for granted, and she never looked like she was annoyed or tired with where she was. No matter what, Okai Chisato was the life of the party, and milked every moment for all it was worth. But I think that the most admirable quality about Okai is that, of all the members, she really does know how to sell herself. Thanks to her innovative thinking way back in 2010, Chissa made the decision to start creating and uploading dance covers of ℃-ute, right at the height of NicoNico Douga and Youtube dance cover boom. It was a very surprising, but very well received action, and because of it, Okai's popularity soared. Through it, Chissa became a much more approachable Idol, and the wota went crazy for it. Her charm and skill were noticed so much more, and because of this choice she made, Chissa was able to prove that there was much more to her than we had previously perceived. She was a forward thinker, and at the time, she was doing something no other Idol was really doing. It was this way of thinking that pushed her forward, allowed her to assemble Team Okai in 2012, and gave her a unique edge that the other members wouldn't necessarily have. She is a smart girl, and even though she no longer posts those videos, Chissa has since continued to impress fans and show off her skills as a performer. On the stage she is incredible, and as a personality, she is sweet, funny, and bold. I love that Chissa is not afraid to be herself, and that she hides under no shell for the sake of keeping up an ideal Idol image. She is who she is, and you can really see that she is proud of all that she has accomplished since becoming an entertainer, but also thankful for what she has been given. There is so much that I want to continue saying about Okai Chisato, but there are not enough words that could express how much I adore this girl, or how thankful I am that she has come into my life. I am a blessed individual to have been able to follow and adore Chissa for eight years now, and even more blessed to have been able to meet her and express my love for her. This girl is the very definition of big things come in small packages, because no matter how small or cute she might seem, Okai Chisato is a force to be reckoned with. From her voice to her personality, smile and charm, Chissa is anything but little; she creates an impression, and leaves all who have viewed or met her stunned and delighted. She is an Idol who creates happiness, and an Idol who finds happiness in what she does. Okai Chisato is an incredible young woman, and for so long she has dedicated her life to bringing joy to other people. And, even after she graduates, she will continue to bring people happiness in her variety shows. No matter what, Okai Chisato will always make people smile. It's what she was born to do, and it's what she will continue doing for as long as she can. This is something she takes pride in, I can see it in everything she does, and it's something that she does flawlessly. I feel so happy that, even though she will leave this wonderful stage, she will continue to provide us with pure entertainment where she can showcase her bold personality and killer smile. It has been eight years since I became a fan of this wonderful girl, and ever since the day I discovered who she was, Okai Chisato has made me undeniably happy. In every music video, every song, and everything she has ever done, this girl will never fail to make me smile, because making people happy is what she does best. Sure, she might not be considered the best at everything, but the things she does, she does them flawlessly. Of all the members, she is my favourite, and I am proud to say that she is one of the girls who made me truly love Hello! Project in the beginning. A dedicated, charming young Idol who has given us 15 years of joy. For so long, she has been a part of one of H!P's finest, and has climbed her way from the bottom to the very top. From underdog to leading lady, Okai Chisato won us over with her efforts, and proved to us all that you don't always stay in the background, even if that's where you were originally told to stay. She is incredible, and no matter what, I love Okai Chisato. My muse, my songstress, my Idol. Thank you so much for being a part of this colourful world I have come into, and thank you for making me love it as much as I do now! Okai Chisato, わたしは、あなたを愛しています! For 8 wonderful years, thank you for everything you have given us! Chissa has a raw tinge to her voice that I really like. I'm so glad Up-Front saw what she could bring and made use of her more. I will miss Team Okai! She used her following and fans to shed light on the Eggs, I think that was great. Same here. I appreciate the girls with good voices that also show off their imperfections in said voices. It's more real and well-rounded. UFP pushing her was one of the best things they could have ever done. TEAM OKAI!!! ;; Next, Team Eripon!? PLEASE!